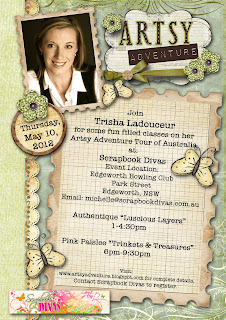 Well it is not long now and Trisha Ladouceur will be heading down under for her Artsy Adventure Tour. Scrapbook Divas is the only store out of Sydney in NSW hosting Trisha for this tour. 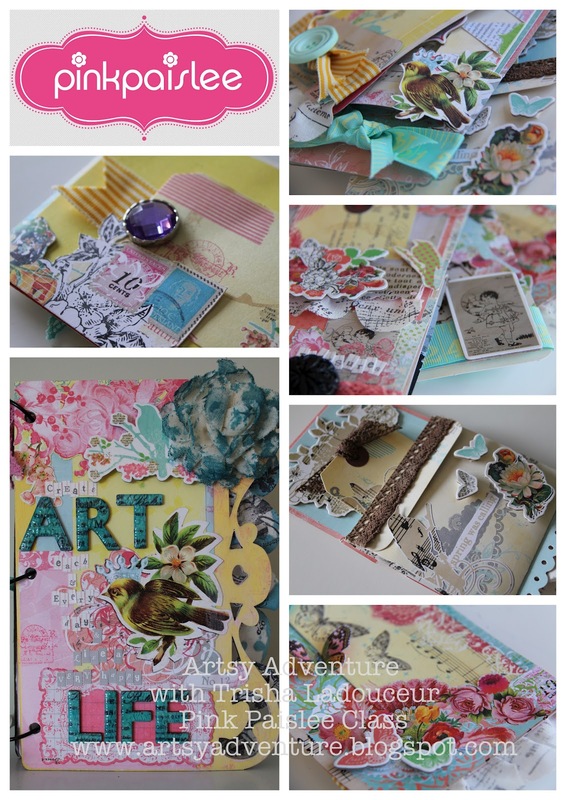 We will be hosting Trisha on Thursday 10th May 2012 and she will be teaching 2 classes, a mini album with Pink Paislee and a layout with Authentique Paper. 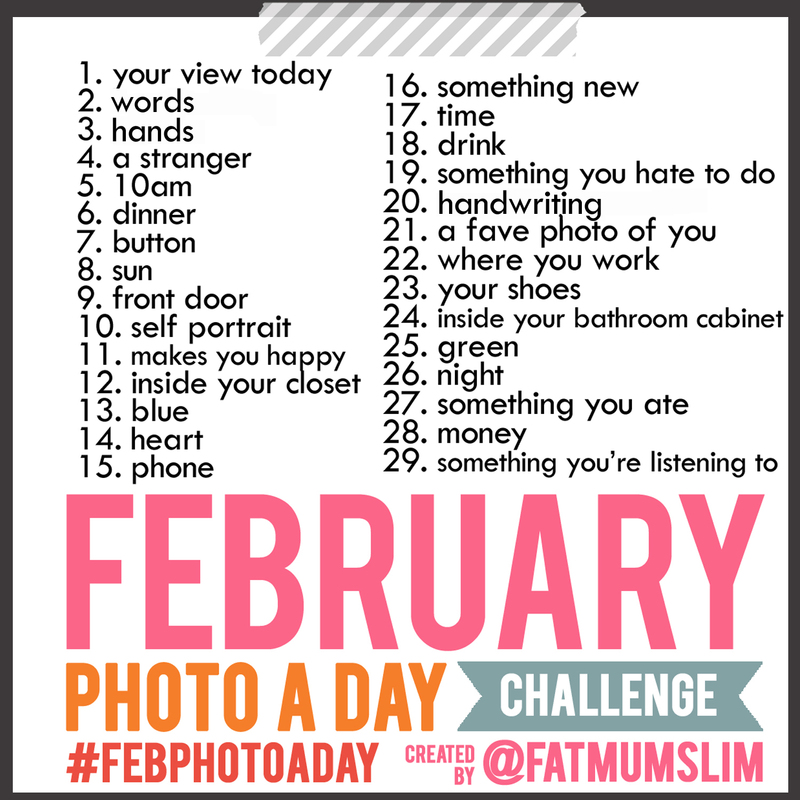 The cost of the classes are $120.00 per class or 2 classes for $200.00. I have set up a payment plan on the website. 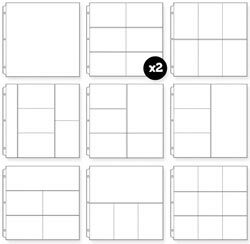 If you are unable to attend the classes in person you can order either kit from the store and this will be delivered to you at your cost after the classes are completed. Please note also that Trisha is also doing a Prima class whilst in Australia and you can also order those Prima kits from the stores listed on Trisha's blog that are holding these classes. Trisha is busily doing the samples for these classes of course using the latest products from CHA Winter 2012. Here is a sneak peak of the class from Pink Paislee. It looks stunning doesn't it. 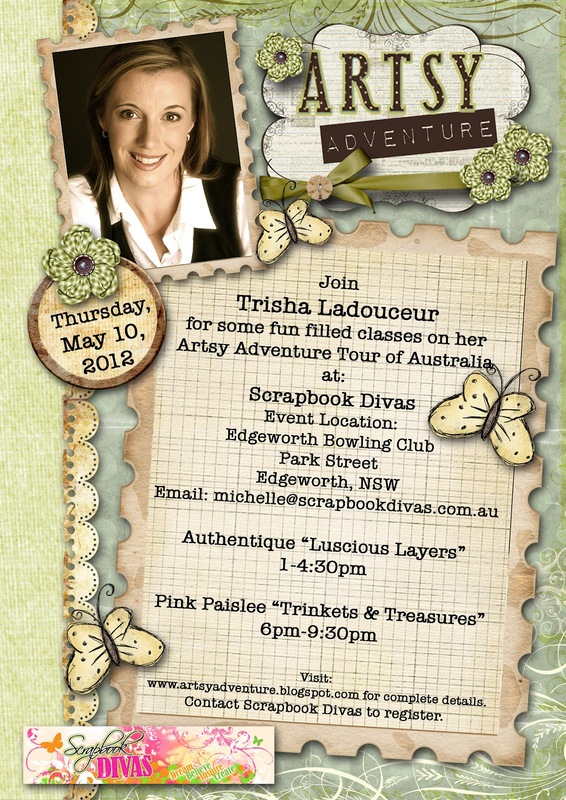 So come and join us for a fun afternoon and evening with the delightful Trisha Ladouceur.